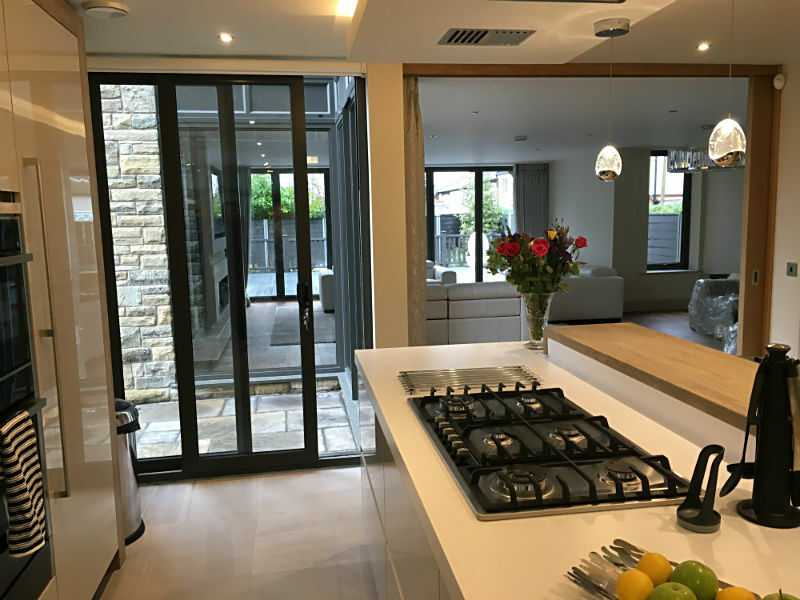 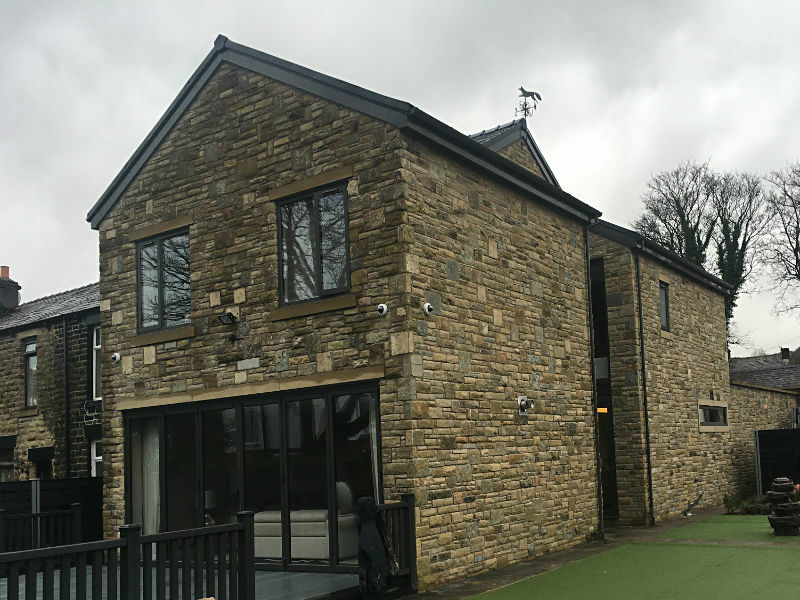 North West Contractors Rosslee Construction were instructed to carry out works to demolish an existing large three bedroom end terrace natural stone walled property, re-built to the highest standard, with a modern but established feel to the property as requested by the client. 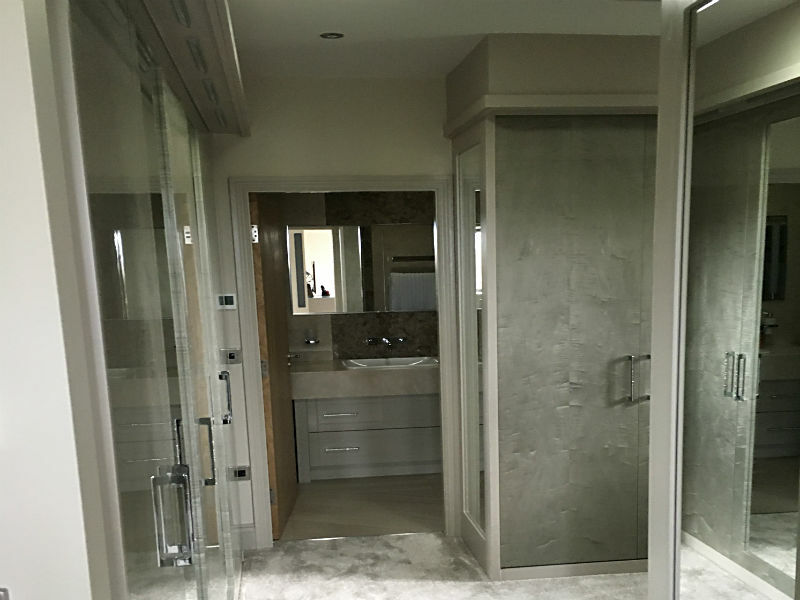 The project commenced with an extensive soft strip of the building, including the removal and subsequent storage of many of the original features, to be reused at a later stage. 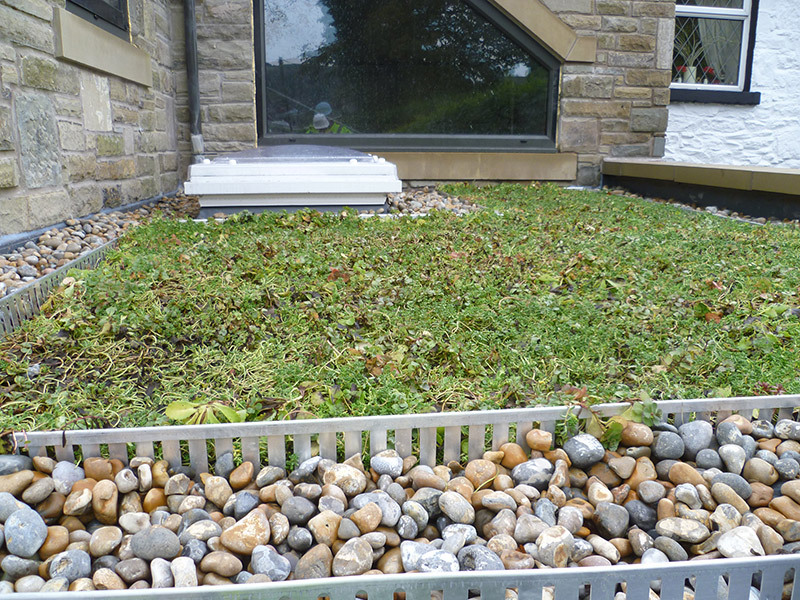 Every piece of the random stone rubble walling had to be cut, re-sized and dressed by hand before it could be re-laid. 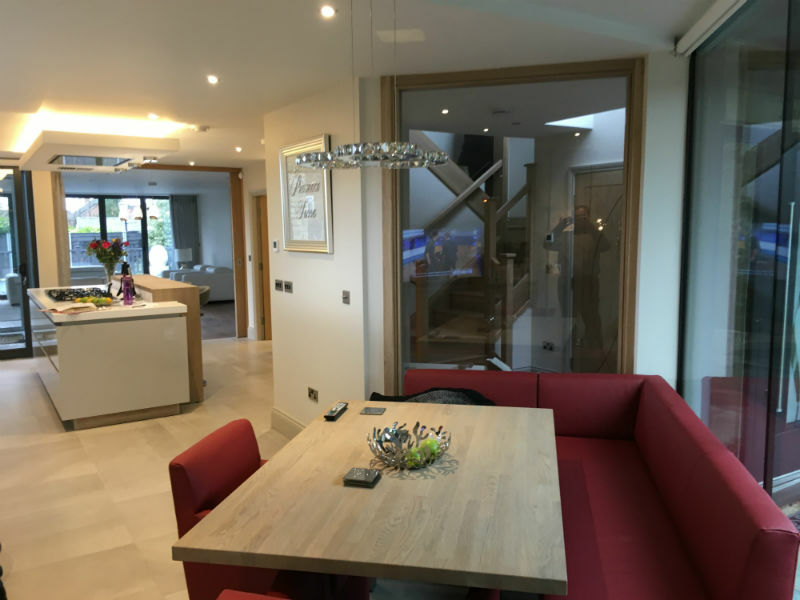 The work package consisted of the demolition of the above structure, full re-build, structural steel framing installations, part traditional floor build, part pot beam flooring. 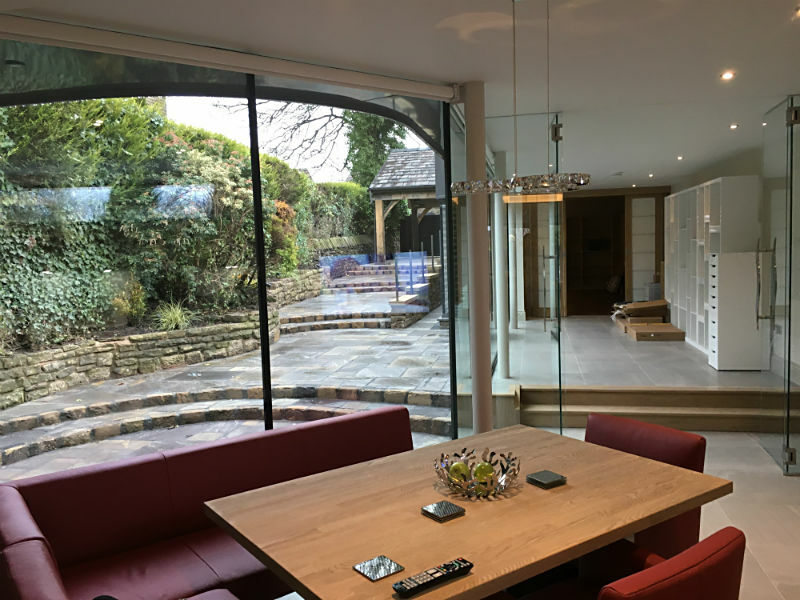 installation of new windows, mechanical and heating installations, internal doors and frames, bespoke curtain walling, flooring and full decorations, hard and soft landscaping works. 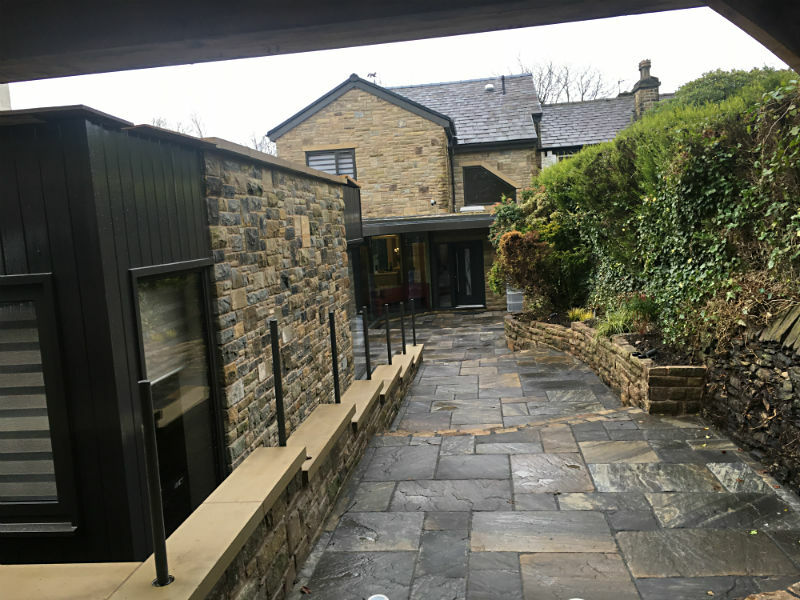 As part of the demolition works we were required to carefully remove and salvage all the mixed sand stone property, stone heads and cills, natural Welsh roof slates and existing stone flags for reuse. 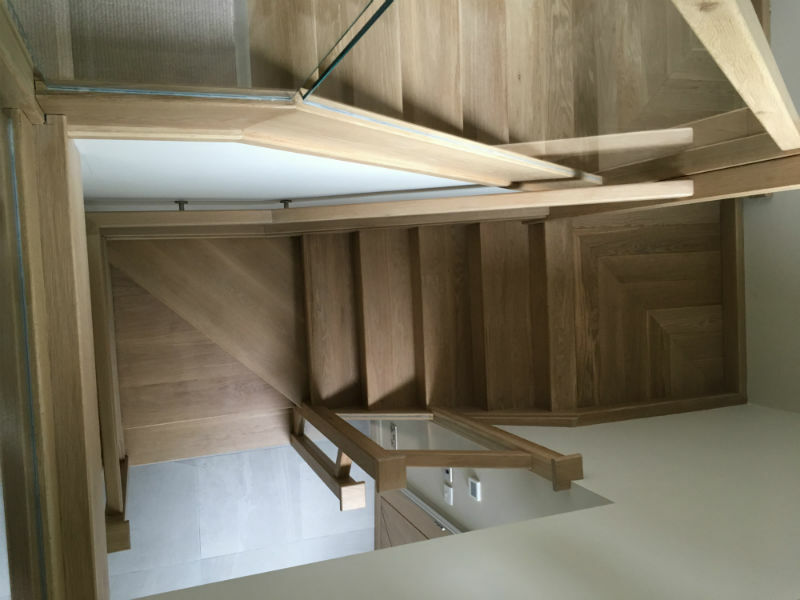 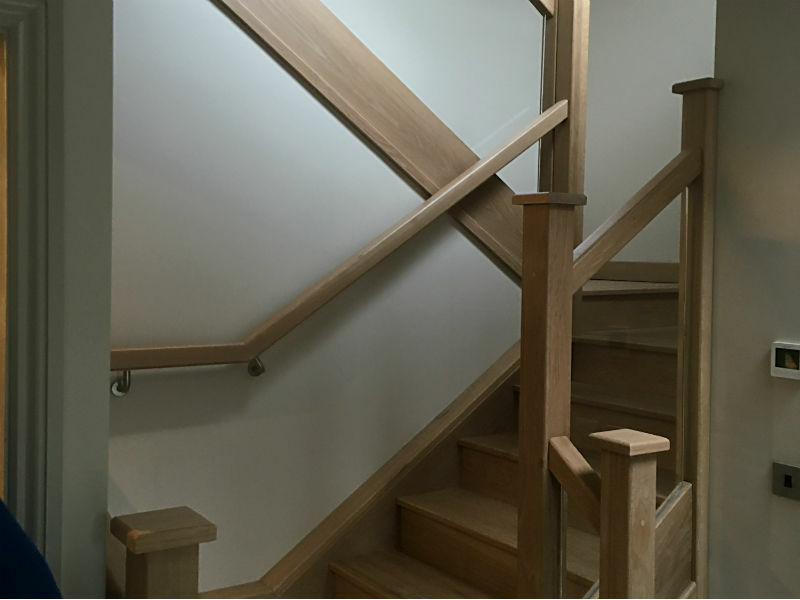 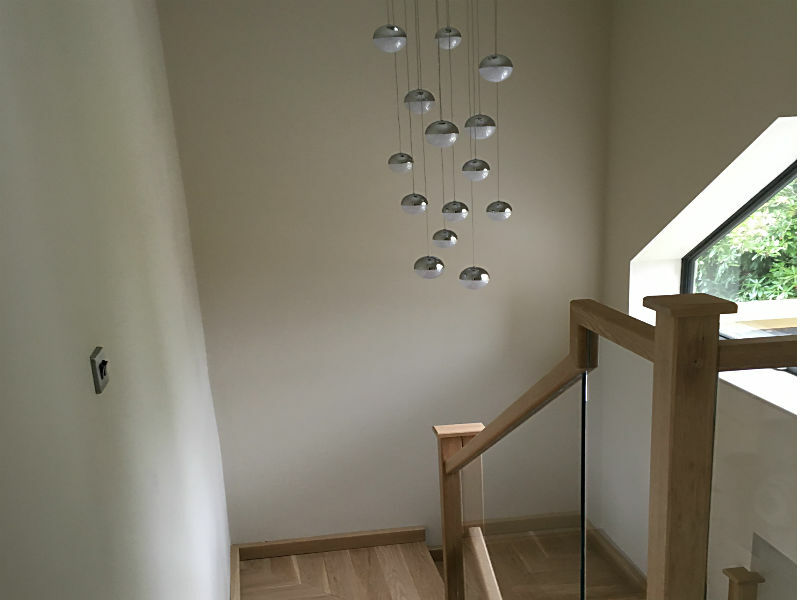 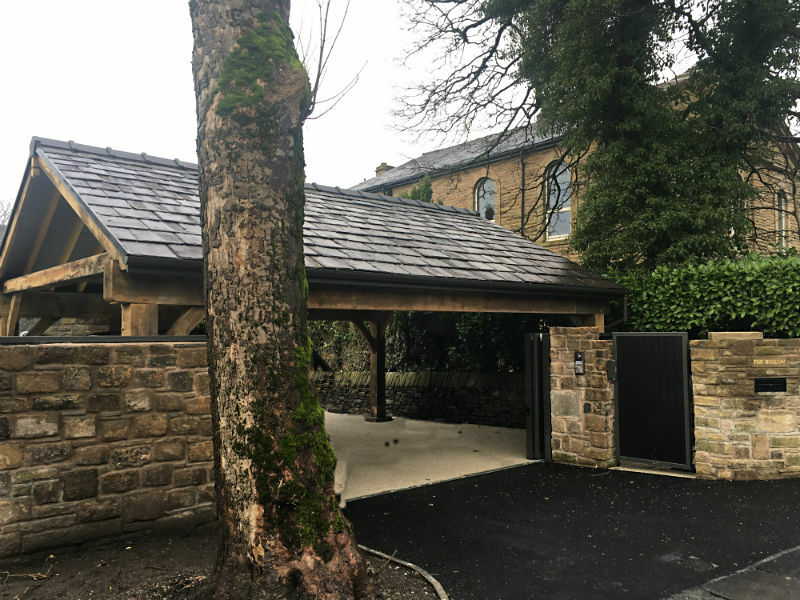 Throughout the new build close liaison was maintained with the client, including collaborations with all involved, aiding design and build elements of the works, including a fully re-designed carport constructed with Oak timbers manufactured in our Joinery Workshop. 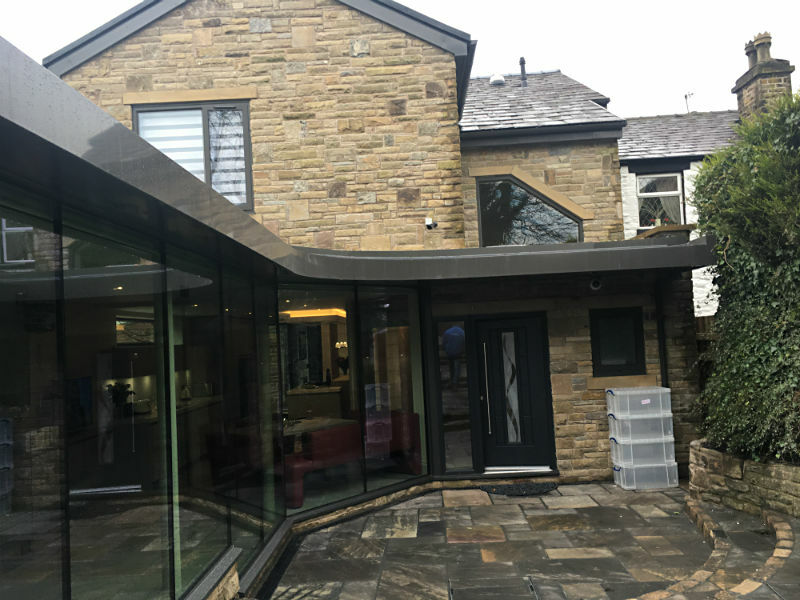 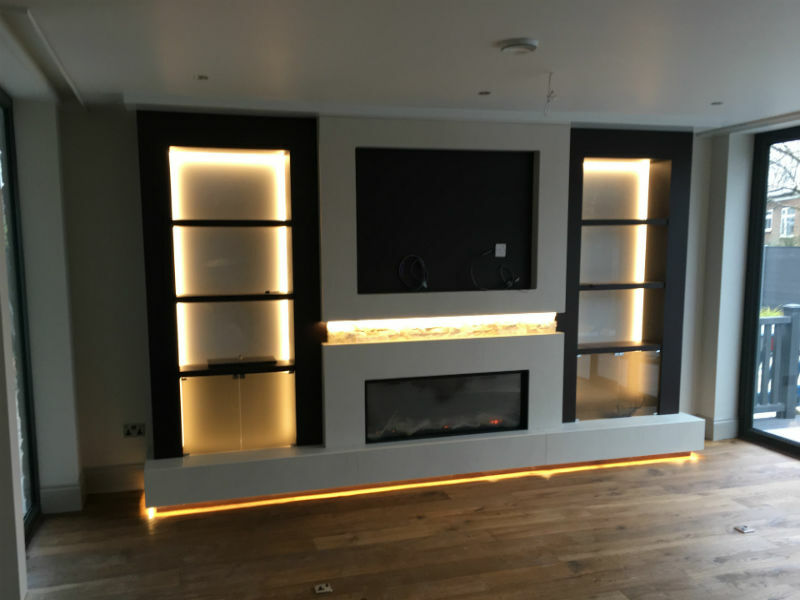 During the successful ongoing works of the project, the client asked us to negotiate a further package of works to the build, including an additional adjacent property purchased by the client which required full refurbishment.